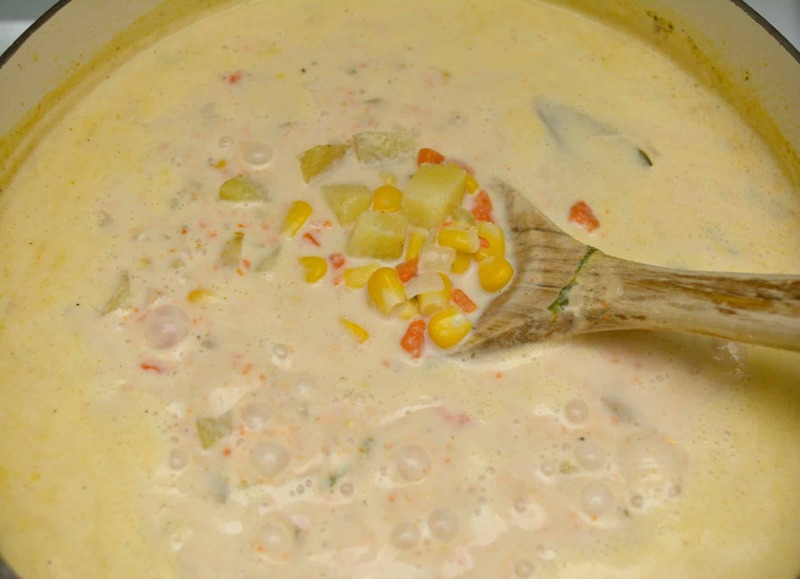 Lobster chowder is one of my favorite kinds of soup. 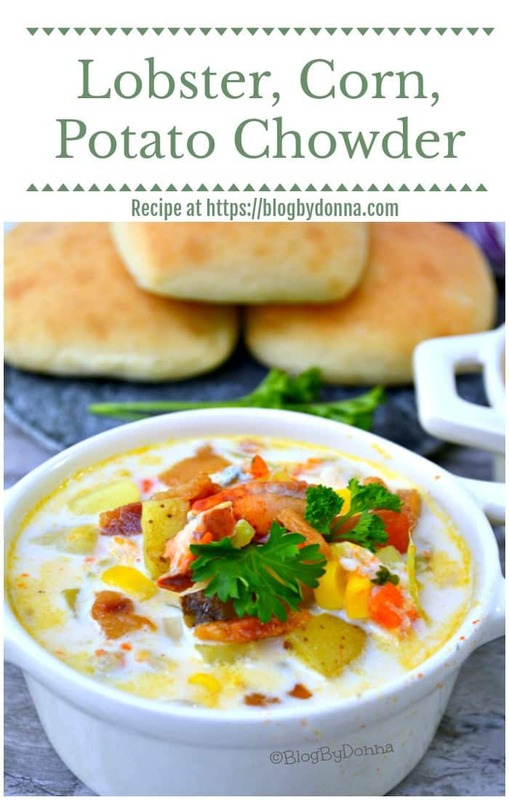 Chowders are rich and creamy and contain some of my favorite ingredients in soup… corn and potatoes. 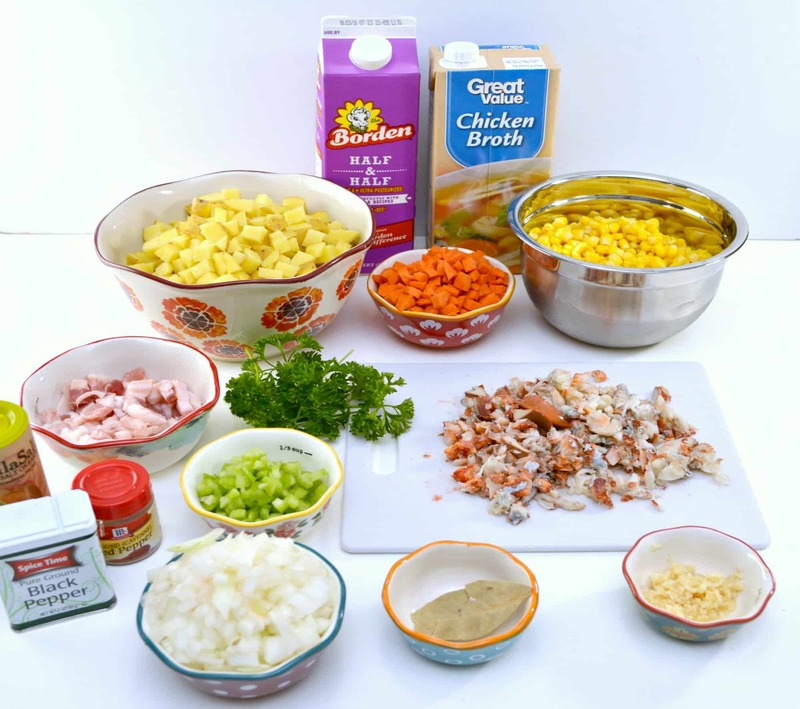 Of course, chowders usually contain fish or clams, too. 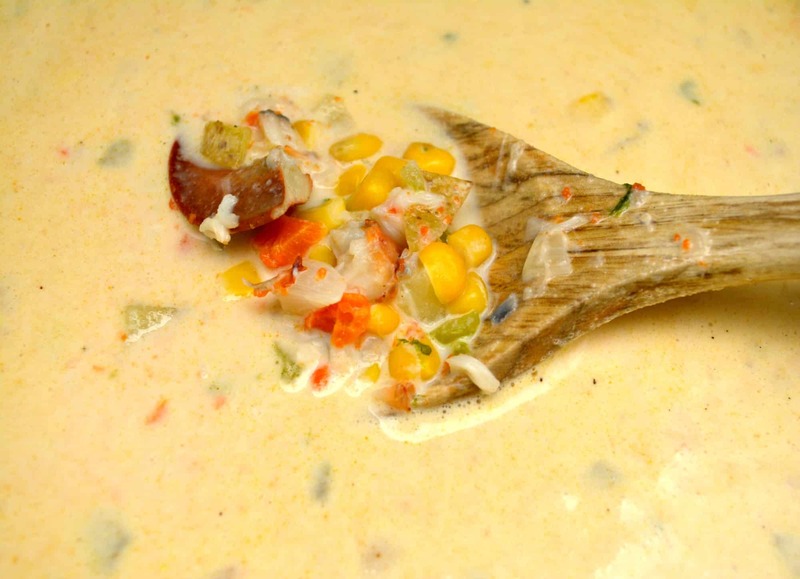 I love lobster, so it’s my favorite seafood in a chowder. 1. Start by draining the liquid from your 2 cans of lobster meat into a pot (if you’re using canned lobster). 2. 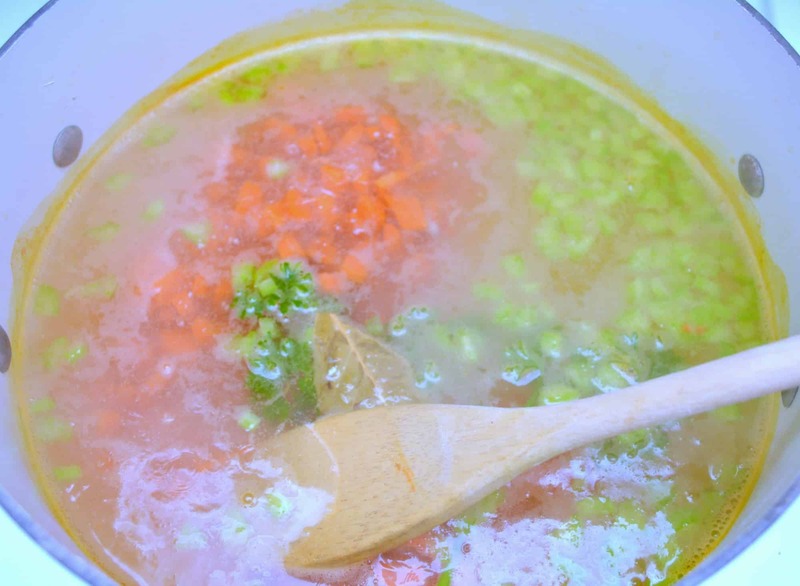 Next, add the liquid from the lobster meat, plus 4 cups of chicken broth, the bay leaf, chopped celery, chopped carrots, and a bit of fresh parsley to a large pot and bring to a low boil over medium heat. Cover and continue cooking over medium-low heat until the vegetables are tender. 3. 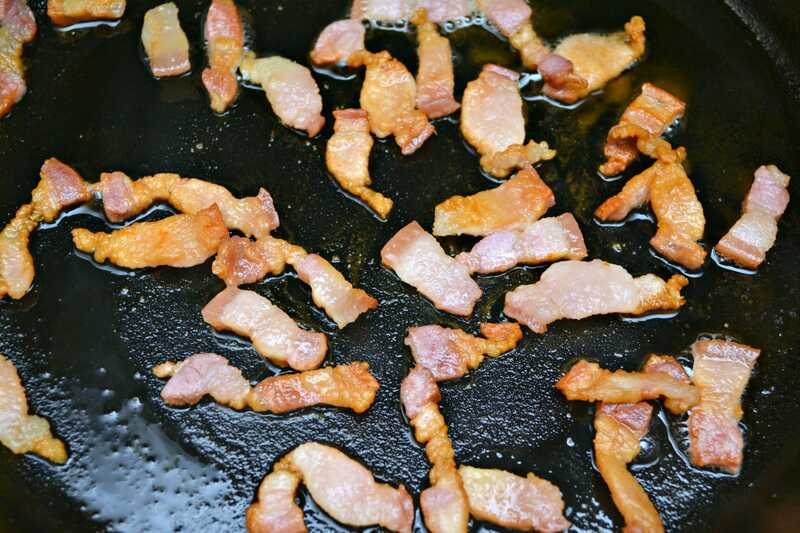 As the broth mixture cooks, cook the chopped salt pork in a skillet over medium heat until crispy. 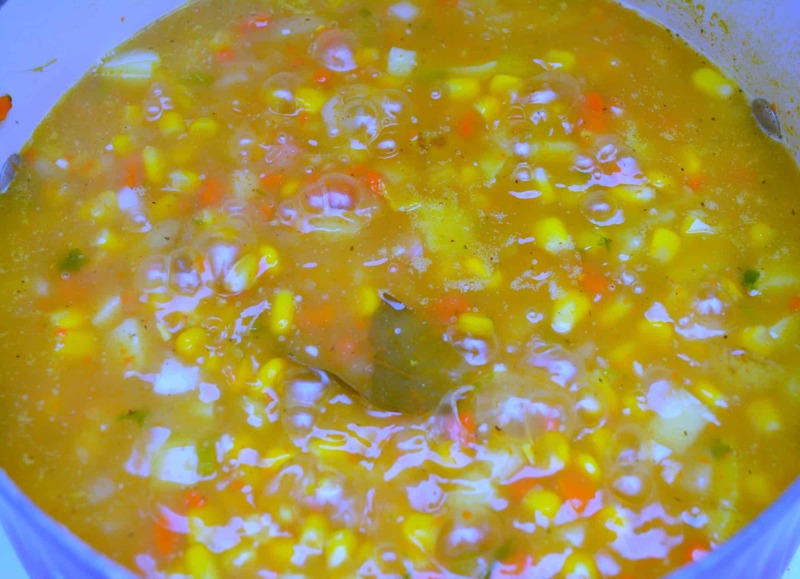 Once done, remove from the skillet and place on a paper towel-lined plate as a garnish for the soup later. 4. 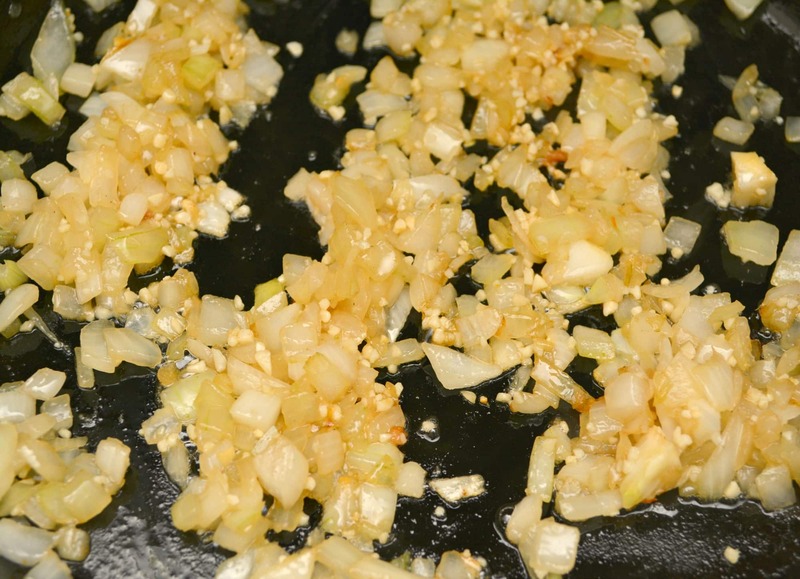 In the skillet of drippings from the salt pork, cook the onions and garlic over medium heat until they begin to become tender and translucent. 5. Add the onions and garlic along with the corn and potatoes to the broth mixture, and bring to a low rolling boil over medium heat. Cover, and let cook until the potatoes become tender. 6. Add 1 cup of milk, and 2 cups of half-and-half plus a dash of cayenne pepper to the pot and continue to cook at a low rolling boil for an additional 5 minutes. 7. Salt and pepper to taste, and then add in the lobster meat. Reduce heat to a simmer, and cook for an additional 3-4 minutes. 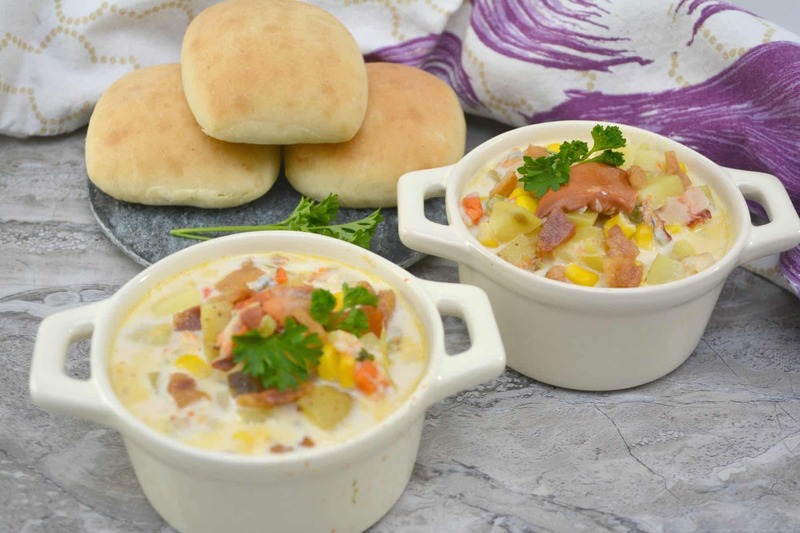 Serve with fresh bread and garnished with some fresh parsley and salt pork. 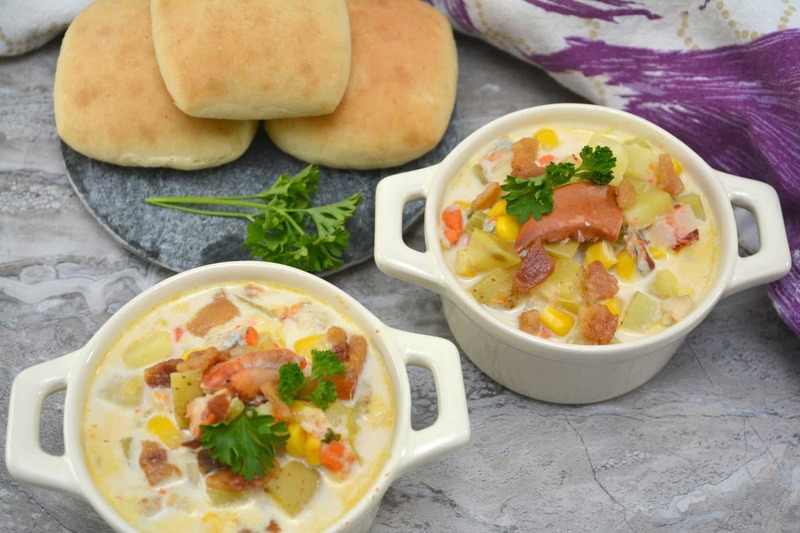 I hope you enjoy this Lobster chowder with corn and potatoes recipe. I love my double handed soup bowls. These soup bowls are very similar if you want a set. And to go along with this lobster chowder, try this delicious Crab Coleslaw Salad. Pin this post for later. Remember, if you like this post, please take the time to follow all my projects and finds here on Pinterest. I have never made this before but now I am going to. Thanks for the recipe.